Along with Cantina Bartolo Mascarello, the wines of legendary Guiseppe Rinaldi have been our favorite Piedmontese wines ever since we first tried them in New York. The wines of both producers are relatively rare, so we make a point to order them whenever we see them on a restaurant wine list. In New York, you can find them at Charlie Bird and Pasquale Jones, and in San Francisco, Zuni Cafe is a good place to look. We were honored to have the opportunity to tour Guiseppe Rinaldi’s fabulous cellars on our last visit to Piedmont. 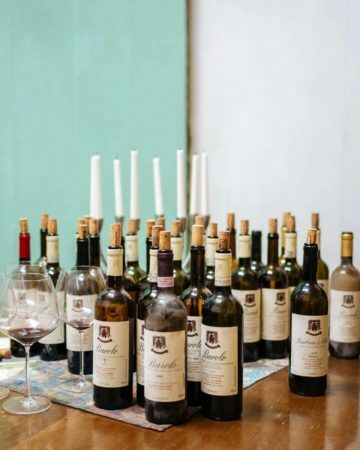 Located just outside the town of Barolo, the Rinaldi cellars are located in the lower level of their large home, with gorgeous vineyards in the rolling hills just outside the door. Guiseppe “Beppe” Rinaldi suddenly passed away in 2018, leaving the winery in the capable hands of his daughters, Marta and Carlotta. We visited with Marta, who at 33 is probably one of the youngest winemakers in Piedmont, and were in awe of her strength and talent. She was also profiled in a recent Wine Spectator magazine article, along with Maria Teresa Mascarello, on the emergence of eminently talented and powerful female winemakers in a region where female winemakers have historically been a small minority. Today, Marta continues her father’s legacy of producing Barolo wines in a traditional style. 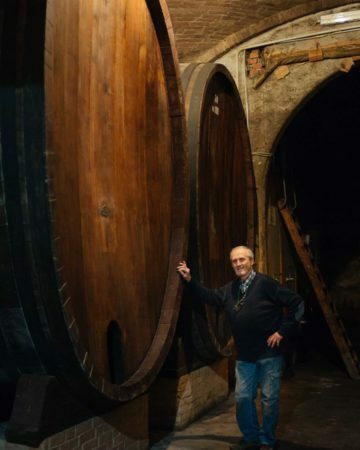 Beppe, along with his good friend Bartolo Mascarello fiercely resisted the modern trend of aging Nebbiolo in French-style barriques, insisted on the use of large botti. Marta and Carlotta continue their father’s practices of farming organically, using native yeasts for fermentation, and aging in botti. Beppe Rinaldi was a collector of vintage scooters, among apparently many other things, judging from the cellar. Every shelf and every wall has something interesting to admire, from photos to sculptures to antique bottles. We especially loved the desk chair made of barrel staves, adorned with hanging wine thieves. We also learned a trick for salvaging broken Zalto glassware – just stick the broken stem into a used cork and voila – you have a “stemless” Zalto for casual evenings at home. 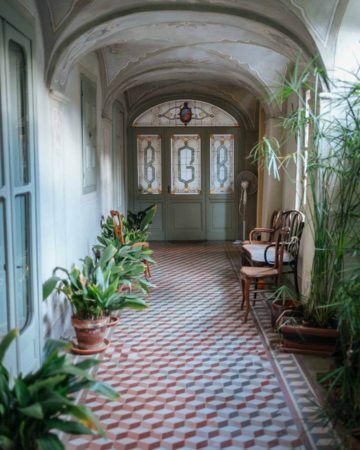 After our visit with Marta, we are confident in the future of this legendary Barolo house. Rinaldi’s Barolos are hard to find and command collector-level prices, so if you are interested in experiencing these exquisite wines, we’d suggest looking for a bottle of Dolcetto or Barbera d’ Alba. But be forewarned – it’s a slippery slope!